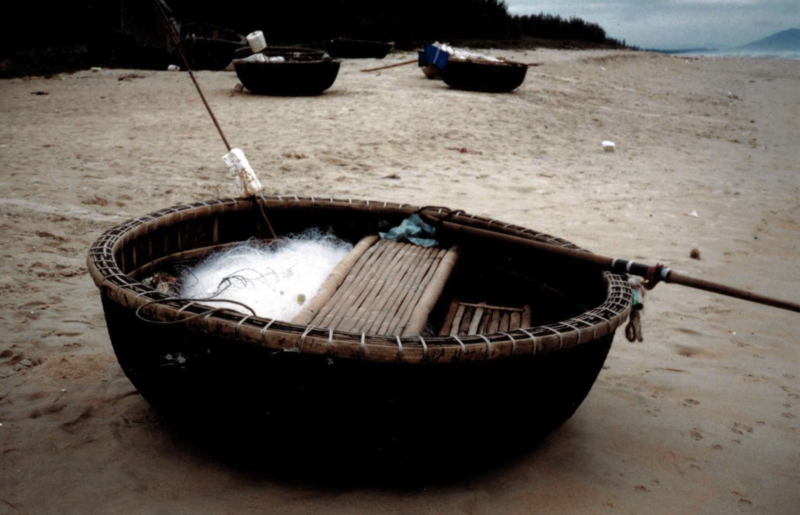 Vietnam is sprawled out like an elongated letter S along the ocean. The land is mostly multi-hued green. The people are gracious even if your Vietnamese is less than proficient. It is a travel destination bound to leave most with fond memories. 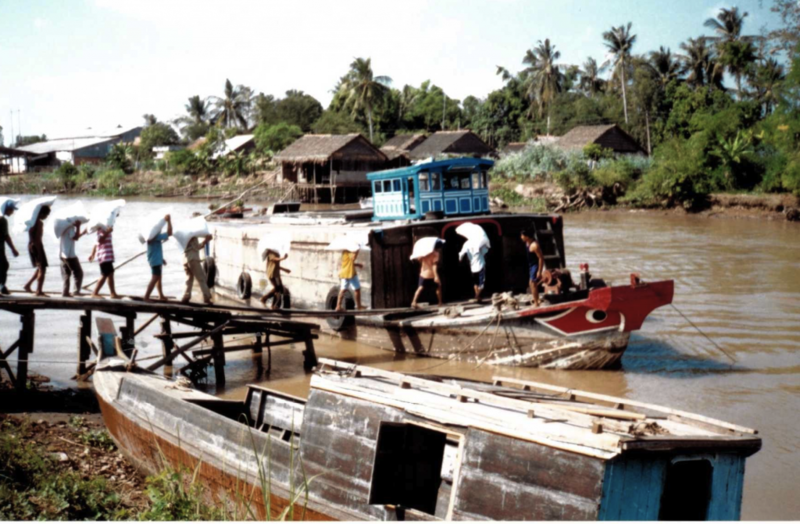 Here are some boat pictures to accompany my chapter about Vietnam. 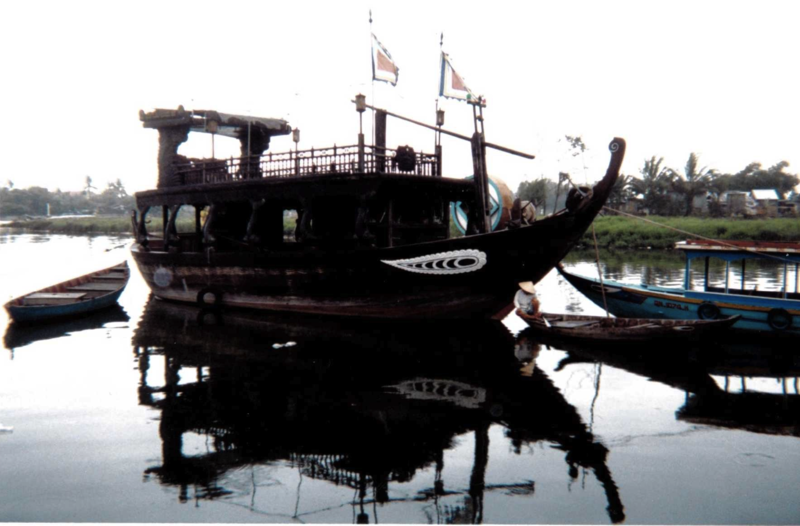 Unlike some places where all the boats are similar, Vietnam all sorts of boats. Many boats had eyes painted onto the bow. Boats need to see too, I suppose. I saw people propelling boats with sticks, oars, and sails. It was common to see people standing and paddling with crossed oars. One woman was rowing her produce boat with her stockinged feet! Why? Just to give her arms a rest, is what I understood her to say. I wanted to try it but I was afraid of losing the oars; they weren’t locked in. I never saw such a thing on New England waters. Just a glimpse at the cover of TATTOO—Journeys on My Mind hints at my favorite boat type. 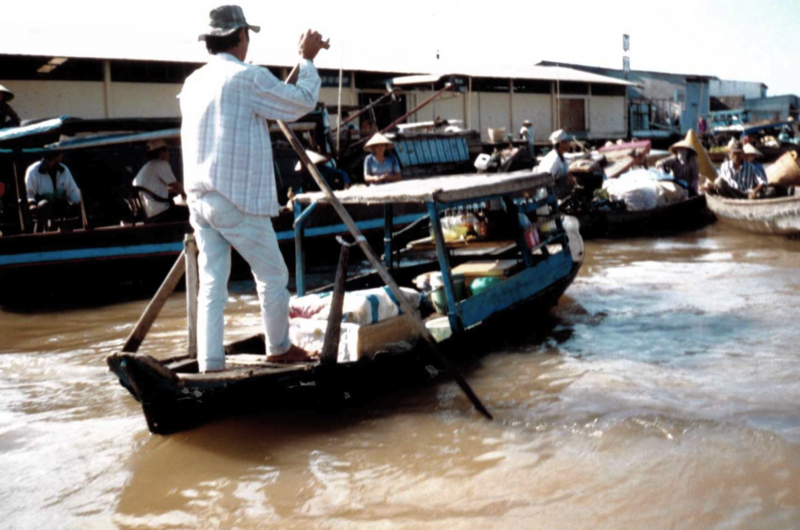 Wooden produce boats in Mekong Delta Market. Note the paddling technique! 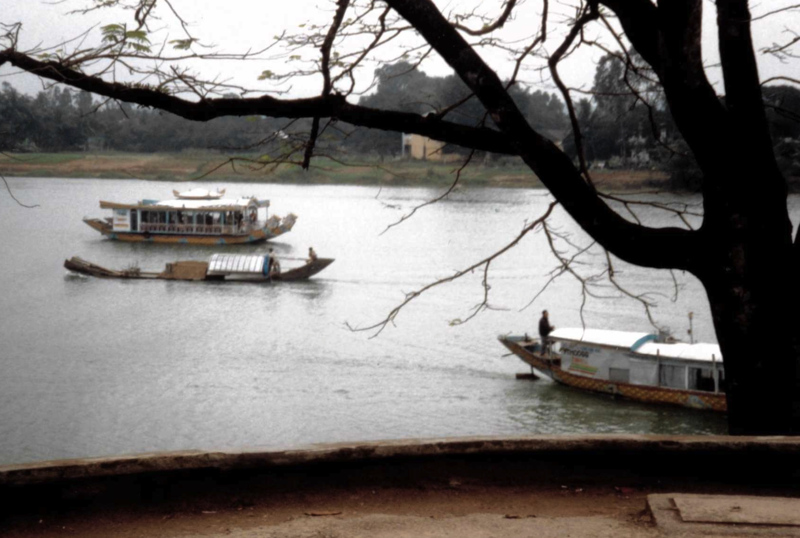 Ferry boats on the river. 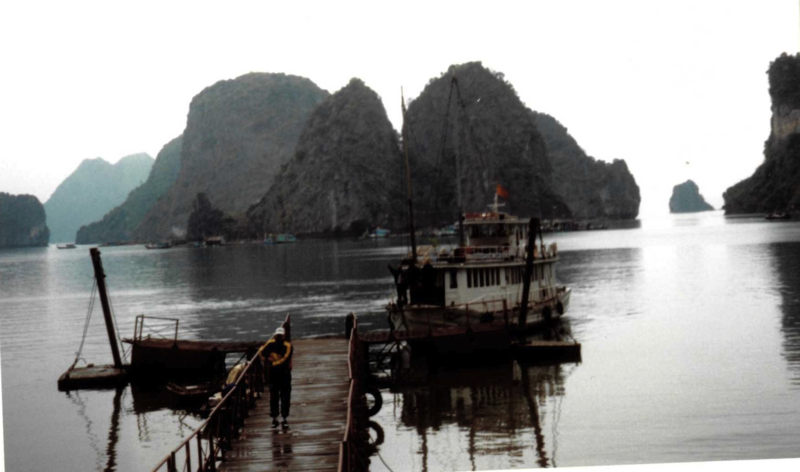 Men loading salt onto boat.